Community Plus Inc Board Member Fred Rainger with Dr. Ursula Stephens at WorkSpace2580. 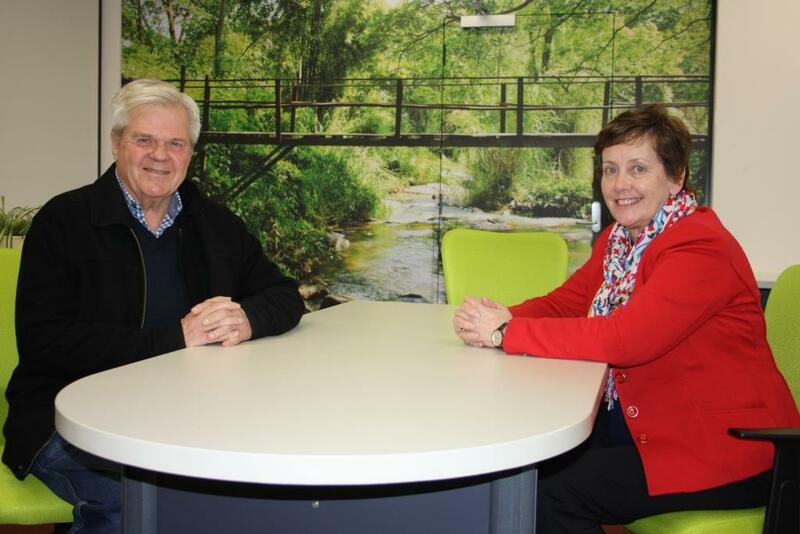 After 12 years in the Senate former Federal Labor Senator and Parliamentary Secretary for Social Inclusion and the Voluntary Sector Dr. Ursula Stephens is still working hard, this time for her hometown Goulburn and, along with a band of dedicated volunteers, building the thriving community hub WorkSpace2580. It’s a bold and beautiful space; full of creativity, social and business entrepreneurial spirit and, as you would expect, inclusiveness. Walk through the doors of the former Mulwaree Council building and color – lime greens and reds – greet you. Inside there is individual industriousness and also group connection. WorkSpace2580 is a vision of a thriving community hub becoming an expansive reality. It’s fostering and nurturing Goulburn’s social capacity and cohesion. Adult education shares space with arts and housing organizations, migration settlement, counseling and disability services, and even Landcare. Along with the state funded Business Enterprise Centre (BEC), it’s also home to micro businesses, providing networking and connection opportunities. “We are a business incubator also, providing webinars and seminars, and training workshops on business development and marketing. We offer opportunities for businesses and contractors to work together,” Ursula said. 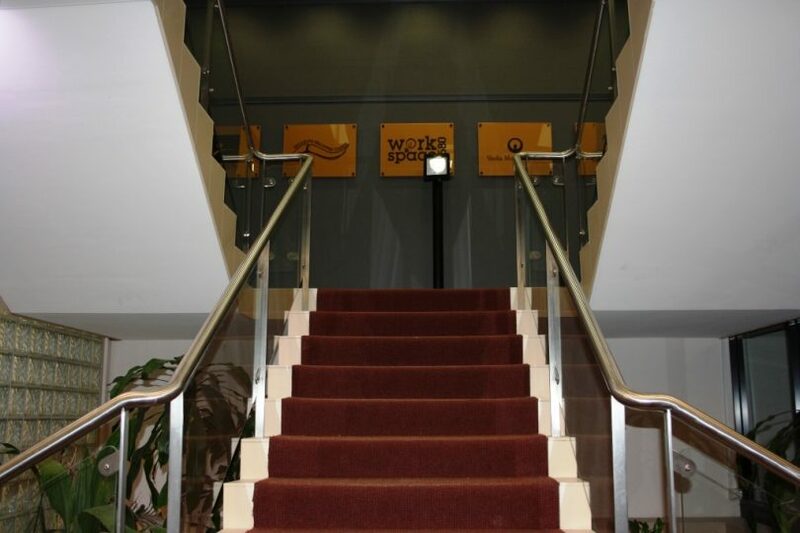 WorkSpace2580 is a partnership between the registered charity Community Plus Inc and Goulburn Mulwaree Council. In many ways, WorkSpace2580 reflects the volunteers who contributed to its genesis and draws heavily on Ursula’s considerable experience in regional and community development. WorkSpace2580 is a partnership between Community Plus Inc and Goulburn Mulwaree Council. In the 1990’s before her 12-year tenure in the Senate, she chaired the NSW Regional Communities Consultative Council. Her thesis for her Ph.D. titled Bridging the Service Divide: New Approaches to Servicing the Regions 1996-2001 compared state and Commonwealth approaches and put forward a theory where people had ownership of decisions and engagement. Her indicators for healthy and prosperous regions consider the level of engagement and debate within communities; that residents are active not passive recipients of information and there is a high level of volunteering. Indicators move from deficits to strengths-based. She believes healthy regional economies are self-sustaining; that the days of government coming to the rescue are passed. “We have to grow the local economy and that’s where the future of communities like ours will be. We need to strengthen our small businesses, consolidate and grow them, and we can all play a part – buy local,” she said. Equally, the economy isn’t just about a transaction. Despite prolific public service, Ursula is not slowing down anytime soon. She’s an Adjunct Professor at the Queensland University of Technology’s Centre for Philanthropy and Not for Profit Studies, and also on its Board. She also chairs the Australian Blindness Forum which is Australia’s peak body for services to the blind or vision impaired. You can find out more about WorkSpace2580 here. Regardless of where you call home, what does community mean to you and what makes a community thrive? Supporting the ‘business of doing good’?